Soup is an easy go-to meal for anyone with limited time to cook. It’s also another way to stay hydrated and is a quick way to add nutrients into you and your family’s diet. 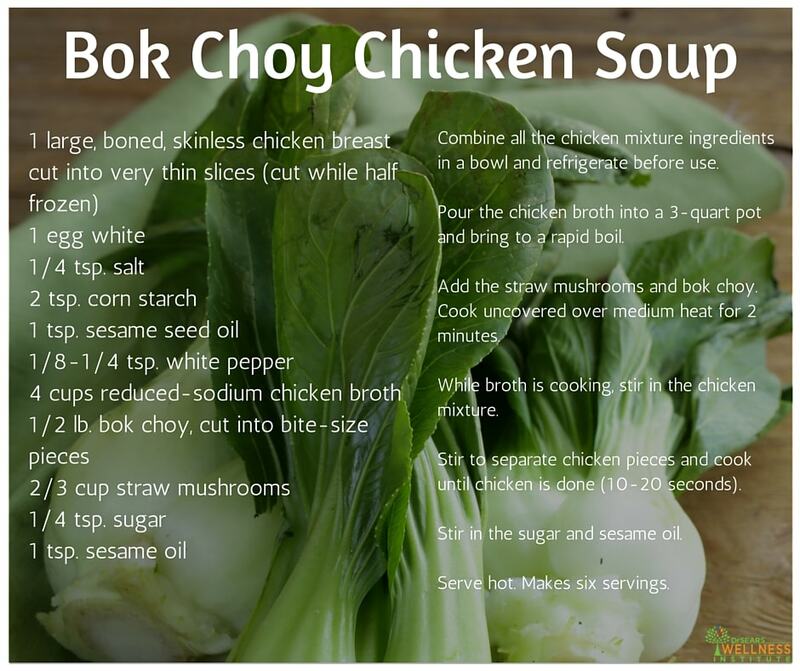 Green vegetables like bok choy are rich in folate (or folic acid), a nutrient for preserving neurotransmitter function. This means it is a great food for optimal brain health. You can’t go wrong with this easy healthy soup recipe! Want more recipe inspirations from the Sears’ kitchen? Check out the recipe archive for more simple and healthy recipes here.